Once it was necessary to use cement mixers, wheel barrows, cranes or other types of lifting machinery to mix and transport floor screed. This meant low productivity and hard labour. 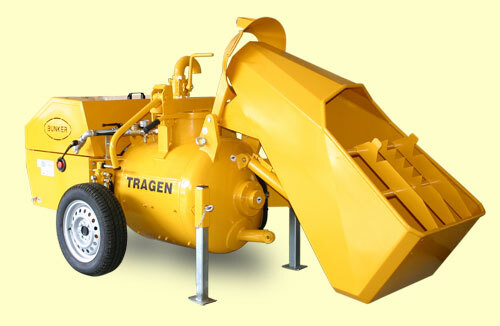 Since more than twenty years Bunker has developed and produced floor screed mixer-transporters. By using this machine one saves both time and money. You always need floor screed conveyors characterized by extreme mobility that guarantee maximum reliability in constantly conveying the necessary materials. The conveyors running and maintenance costs must be low, they must be long-lasting and operate according to the relative safety and enviromental laws. 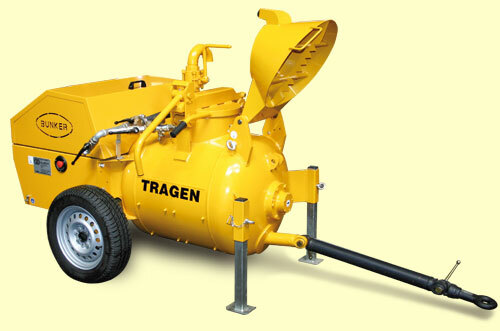 The Tragen B250 EB is the right response to the needs of the modern days building site. It is equipped with a scraping device and loading skip which ensure high productivity. It is not necessary to move the machinery around, even on the biggest building sites, everything is simple. After seeing a demonstration, all my doubts disappeared. The B250 is the floor screed pump i wanted.